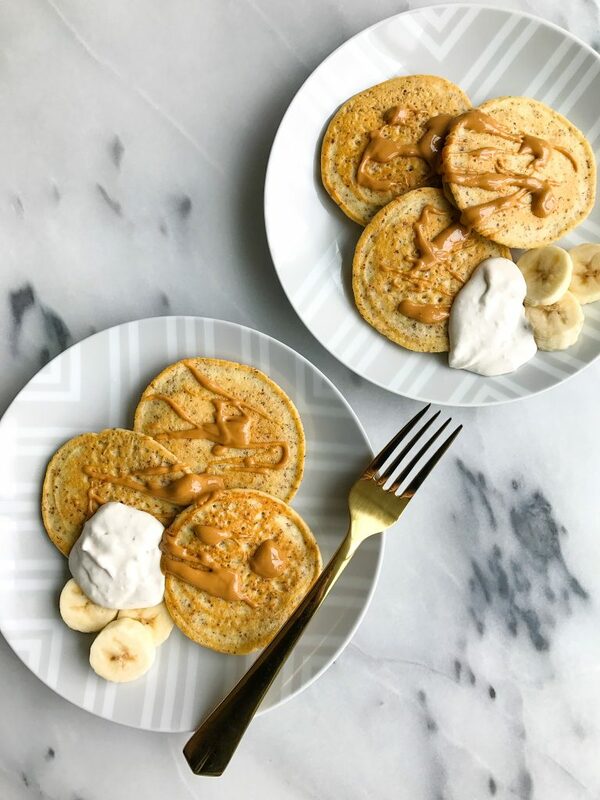 Easy Almond Flour Pancakes with Banana Whipped Cream for an easy, delicious, collagen-packed breakfast! 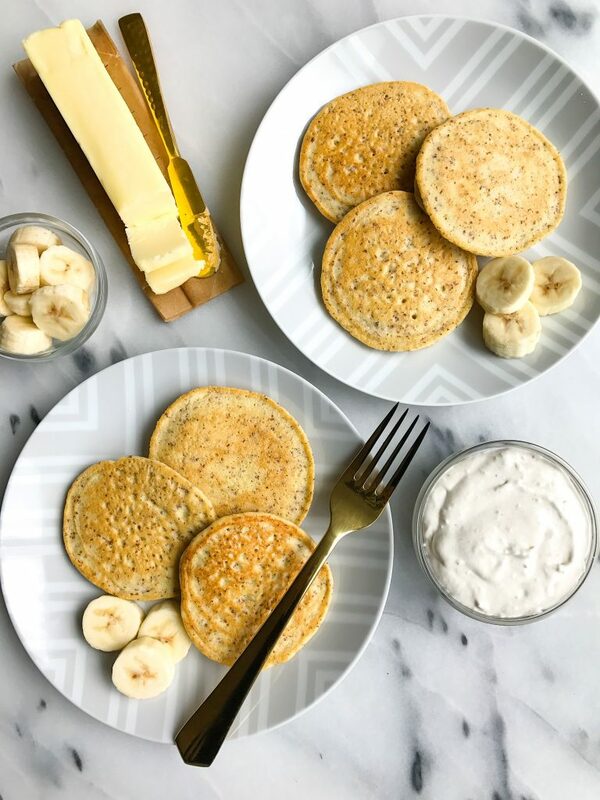 Considering how much I love pancakes and bananas, I am surprised it took me this long to make these easy almond flour pancakes and banana whip. I think you are going to be pleasantly surprised by how easy this breakfast spread is to throw together. And most importantly, how easy this pancake recipe is because almond flour pancakes are not always the most seamless stack to make. My favorite part about this recipe (besides the fact that its combining my two favorites: bananas and pancakes) is what is actually IN this recipe. 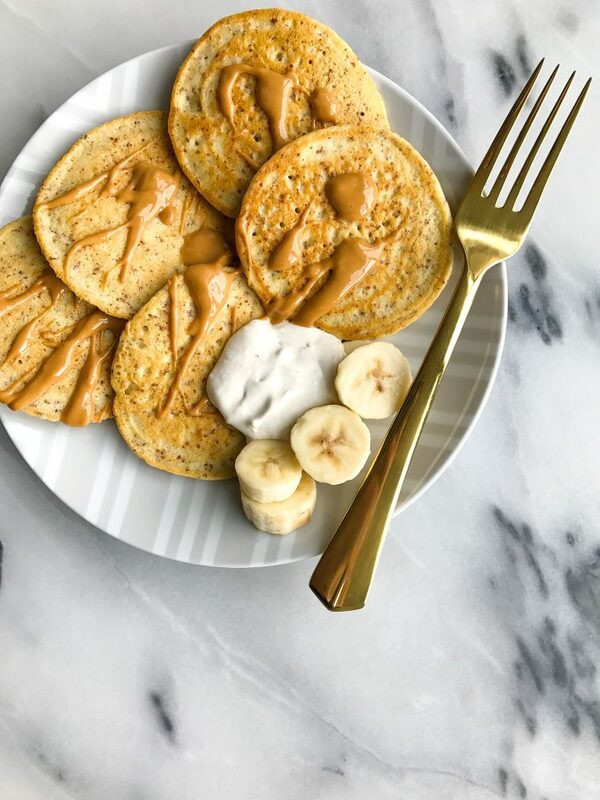 The pancakes are made with almond flour, eggs, cinnamon and wait for it.. collagen peptides. Collagen peptides pretty much have taken over your newsfeed and it is safe to say thousands and thousands of more people are booming more informed about what they are all the time. They want to hop on the collagen train and once they do, they realize why collagen peptides seriously are the best. I use Vital Proteins collagen peptides every single day. I personally add to my daily smoothie bowl or hot tea but you can truly add to anything you prefer. Jord adds to his coffee every morning and you can even add it to hot water with lemon. Since I started using collagen peptides I have noticed a huge difference in my hair, skin and nails. I also use collagen peptides because of the benefits for joint health, digestion and the extra protein it provides. What I love about Vital Proteins though are all the products they offer that have collagen in them. They make collagen from beef, fish, and they even have supplements. They also just launched a bunch of new product lines include BONE BROTH collagen peptides and beauty water collagen peptides. I am so amped to experiment with the new goods. 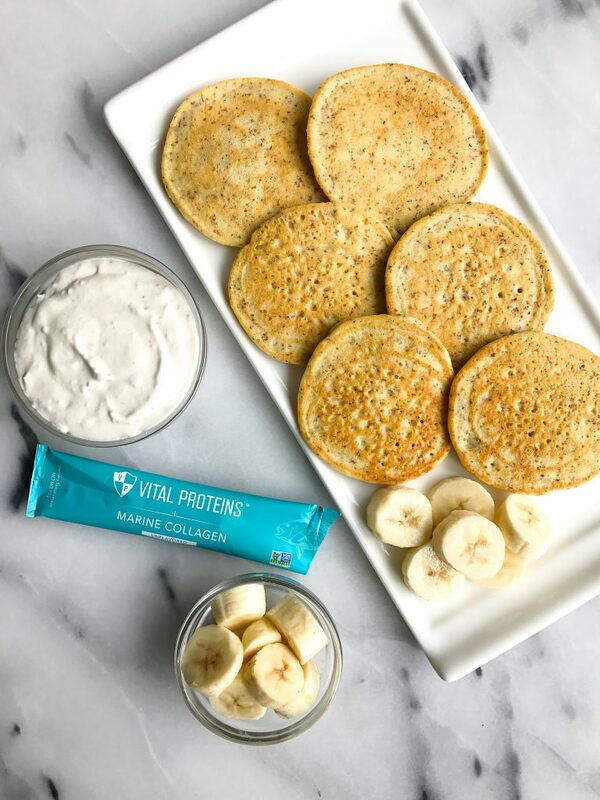 In the meantime, whip up these pancakes and banana whip and add your favorite collagen peptides from Vital Proteins to the mix, you will love. Plate with pancakes and enjoy! Mmm! I know what I want for dinner! And the banana whipped cream sounds so refreshing and perfect for summer! These look delicious, but my daughter and I are highly sensitive to beef. Do you think I could safely use extra almond flour in place of the collagen peptides? If so, how much extra would you recommend? Can these be made with no collagen?